Andrew is CJLO’s Metal MD and hosts Grade A Explosives, every Sunday from 4 to 6 PM. I've been to quite a few of these “Heavy Montreal”’s and each one is an intriguing look into what metalheads are looking into at a particular moment in time; a snapshot of heaviness, if you will. This year's line up is a particularly odd one, as for me, it has the unique position of having very uninteresting headliners and a stellar undercard of artists. Don't get me wrong, Marilyn Manson, Rob Zombie, and Between the Buried and Me will be good to check the boxes for, but I'm most excited about things like Pallbearer, the latest Pitchfork crossover, and Quebec City's Get the Shot, who’s doing a decidedly modern thrash interpretation. Of course, there's also the rogue's gallery of things to look forward to, mainly Baroness, Red Fang, Witchcraft, Alestorm, and Eyehategod, but I guess who I'm really looking forward to the most (in that I have the feeling I won't see them again for a bit) is that of black metal titans Emperor. Hopefully, they go through the whole set with only burning down one church. Phil hosts Sin After Sin, every Wednesday from 10 to 11 PM. As a fan of old school bands, I'm definitely excited to see black metal legends Emperor (for the first time in Canada in forever! ), stoner legends Sleep, and Quebec's own Voivod, one of the most unique bands in thrash... but I'm also happy to see Canadian classics Helix and Lee Aaron on the bill, as well as the reunion of Necrotic Mutation, a rather obscure Quebec death metal band that put out an excellent EP back in the day. Warbringer, Power Trip and Havok will also be lots of fun for the more modern side of thrash, and Perturbator for something a little different (synthwave is electronic music for metalheads, folks)! Sean hosts Sublime State of Doom, every Monday from 9 to 10 PM. Philiam hosts Turn on the Darkness, every Wednesday from noon to 1 PM. 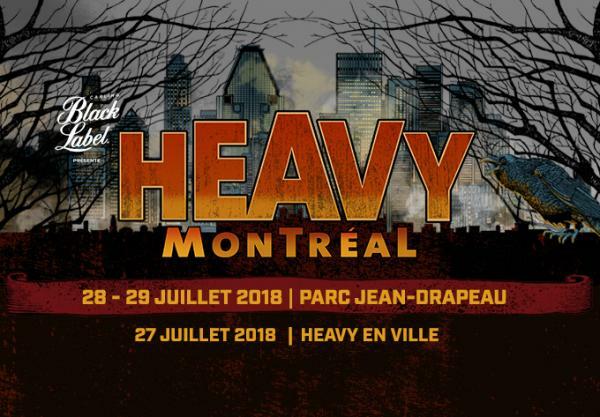 After taking a hiatus from last year, Heavy Montreal decides to come back this year with a bigger and heavier approach, bringing in the big names for this year's festival. Many new and up-and-coming bands are making a huge appearance this year, which I find really pleasing, such as Entheos, Jinjer, Power Trip, Allegeon, Erra, I Prevail and Gloryhammer. Veterans bands such as Alestorm, Between The Buried and Me, Gojira, and as well Emperor are also present at this year's festival. It's pretty exciting to see how far these bands have come in their careers, and to bring that energy to the Heavy stage. Angelica hosts BVST, every Wednesday from 7 to 9 PM. Heavy Montreal has turned into such an adventure for us CJLO heavy DJs. In addition to roaming around checking out bands, we do a live broadcast from the site, and lots of bands either stop by to do interviews live, or record them to air later. I've been lucky enough to have already seen a lot of the acts playing at Heavy this year. Rob Zombie headlined in 2013, and it was such a fun performance that I will definitely not be missing it when he takes the stage again this year. Though I don't consider myself a fan, I have experienced a Marilyn Manson show, and it's anything but not entertaining. The big tickets for me, however, though they may be billed somewhat lower down the list, are Emperor, Sleep, Baroness, Witchcraft, and Pallbearer. Of course, I have a very strong soft spot for Canadian classic metal, so I'm extremely excited for Lee Aaron, Helix and Sword! In 2006, I helped release The Best of Sword, and this will be my first time seeing the reunited band, and hearing those songs live! Finally, it wouldn't be Heavy Montreal for me without some Heavy Mania! Watching some local wrestling between the trees is always a nice break from the blazing sun. Devon hosts Hot Chaud, every Sunday from noon to 1 PM. Looking back at the 1990’s, you might think “Quit Playing Games (With My Heart)” was the soundtrack to everyone’s bubble gum childhood, but don’t be fooled. The mid to late 90’s also gave us a wave of controversial musical acts that would inspire today’s millennials to rebel, such as Eminem, Limp Bizkit and pop-punk’s blink-182. Among these names, a major player was goth rocker Marilyn Manson. Marilyn Manson challenged a generation to be indifferent about appearances by creating a daunting and well-spoken persona that made it to the top of the charts, and to the top of your parent’s I can’t stand it list. Every decade seems to have given birth to a particular fashion style fuelled by the music of its time. The 70’s had my dad wearing bell bottom jeans, the 80’s had my mom wearing shoulder pads and overly bright colours, the 90’s had my cousin wearing baggy pants and skateboard shoes, but what about the 2000’s? The 2000’s had me wearing skin tight jeans and black band t-shirts. I might or might not have been an emo… don’t judge. Not every band can say they were at the forefront of a generational fad like emo-ism, but Underoath can. Underoath is one of those bands that gets unanimous respect throughout the scene because they have the musicianship to accompany their catchy hooks. With their most notable line-up back together, Underoath is bringing their brand of heaviness to the Heavy Montreal festival. Orin hosts The Noisy Loft, every Sunday from 8 to 9 PM. I am truly grateful there exists a festival like Heavy Montreal, where I can see Warbringer not too long after seeing Helix. 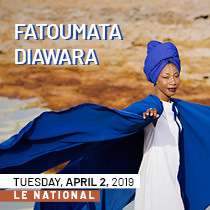 While I’ve often poked fun at how festivals tend to go broader these days for festival line-ups, I don’t really know why but something about this line-up just works for me. Am I the biggest fan of Tech N9ne or Helix? Not especially. Am I still going to catch their sets? I most certainly shall try. Also you can never go wrong with Alestorm on your line-up. For more helpful tips on Heavy Montreal, check out a surprisingly still relevant article here… barring the initial giveaway stuff.